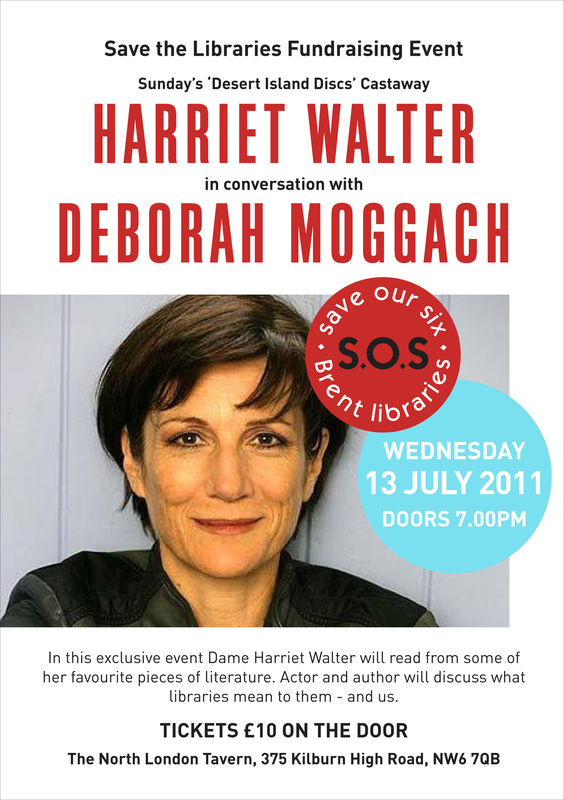 Acclaimed stage and screen actress, Dame Harriet Walter will be at the North London Tavern this Wednesday 13 July in conversation with author DEBORAH MOGGACH, reading from her favourite pieces and roles. Join us for this exclusive evening organised by the Preston Library Campaign. Tickets are £10, available on the door or Email Us. Dame Harriet has played all the major Shakesperian female roles – from the icy Queen Elizabeth I in Schiller’s ‘Mary Stuart’ at the Donmar to a Tony Award nomination on Broadway. 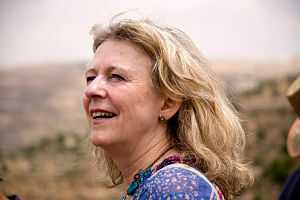 Deborah Moggach is the best-selling author of Tulip Fever. She adapted Pride and Prejudice for the film starring Kiera Knightly. Another is currently filming in Rajasthan with Judi Dench, Maggie Smith, Bill Nighy and Dev Patel (Slumdog Millionaire). Deborah is a lead campaigner against the closure of libraries in Camden. Actor and author will discuss what libraries mean to them-and all of us. Posted on July 7, 2011, in Events. Bookmark the permalink. Leave a comment.